Dani, Meg, and Charlotte have bonded over babies, barbeques, and backyards, but when they escape for a girls weekend away, they can t bring themselves to return to lives that don t seem to fit anymore.Harried Dani can t explain why she feels so discontented until she meets a young gallery owner who inspires her to rediscover the art that once made her happy. All three of these women thought they would be different. None of them thought they d be facing down forty and still wondering when life starts. What they do when they realize where they re headed is both inspiring and wildly entertaining. 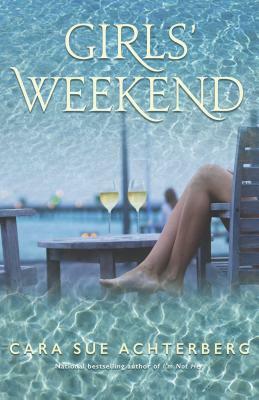 Girls' Weekend is one of those books with which you settle down with a glass of wine on a beach somewhere and enjoy the read. While I don't think it went into as much depth as it really could have, it did make you think about your own life and how much you do for others and whether you really do have time for yourself. I think it's great that these women were able to take the time to relax and think about what they want from life, but personally, I don't know too many women who can take weeks to themselves in order to sort themselves out and decide what to do. It all begins when Dani, Charlotte, and Meg decide to go away for a weekend. Tired with their lives, wishing for something more, once the weekend is over they don't want to return to their husbands and their daily chores, so they decide to stay. To be honest, I did have a problem with the decision as, again, I am not sure how someone could leave for weeks without explaining to their spouse what is going on. I'm sure most women have fantasized about leaving for a month of two, a secluded beach with a casket of wine and a suitcase full of books being absolute heaven. It's definitely very easy to get caught up in one's life as you cart the children all over the place, help them with their homework, make their lunches, take them shopping to get that last-minute art project piece that was due yesterday, to sew the rip in the shirt your daughter needed last week, and so on. But re-connecting with your spouse takes time and energy and this I thought was lacking in this book. The story was about the women coming to terms with themselves, and their growth, but the disconnect in their lives would have involved their spouses too, and I don't think there was any resolution and very little development to this at all. It was more about the men learning to live without their spouses, hoping they will notice everything the women do in their lives, and hoping something will change when they get back. But taking off for weeks doesn't really solve the problem, in my estimation, and old habits don't die out that easily. I definitely wasn't looking for a perfect ending, would have been kind of disappointed if there was, but would have liked a bit more resolution for these ladies instead of just go back to your lives and hope everyone likes the new you that was discovered in a couple of weeks. If I sound sarcastic, it's because I am. I really enjoyed Meg and Dani as characters and liked their story lines, but I was not a bit fan of Charlotte's. There was something about her that rubbed me the wrong way, and I'm sorry to say, but I was on her husband's Brett side the whole time things went sour. Charlotte is very high-maintenance and her attitude drove me nuts. I felt much more sympathetic towards Dani and Meg as I found them more likeable, and looked forward to when the POVs changed back to them, away from Charlotte. I did enjoy all of their conversations, even if I disagreed with their choices, as I pictured my own girls' evening full of fun, laughter, wine, and conversation. The author definitely understands the strength of women's bonds and friendships, as well as how fragile and emotional they can be. Girls' Weekend was a fun, somewhat emotional, book about friendship and re-discovering your sense of self. I would recommend this book to anyone who is interested in reading about friendship, love, and loss, and the characters seem very realistic, even if the premise isn't. I think what it does do for women is it makes them realize that changes can be made at anytime if you really wish them to be made, it just has to start somewhere, and I'm pretty sure you don't have to rent an expensive cottage to be able to do so, as much fun as that would be. But that’s not all that starts to turn Jack’s world upside-down. 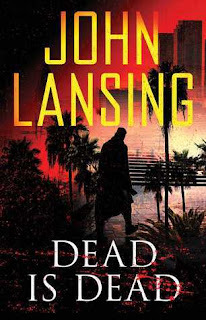 When a five-year-old girl is shot dead in her family’s living room, just blocks from where the movie is being filmed, Jack realizes there are threads connecting the movie, the murder, a brutal gang of brothers, and a terrifying body count. 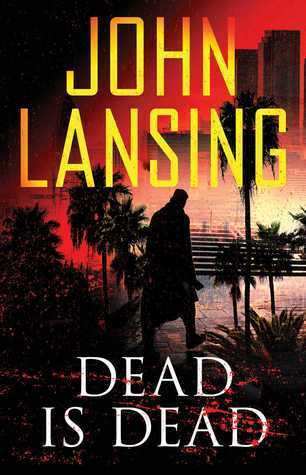 Dead is Dead is the third book in the Jack Bertolino series and was just as interesting as the first two books. This book is pretty much action from start to finish, yet the story is pretty darn good as well. The ironic part of this book is that Jack is a bodyguard and technical advisor on a film that is based on one of his old cases, and stars the new 'it' girl Susan. She's being harassed by an ex-stalked who has followed her from New York to Hollywood to continue his harassment. I wasn't sure what to think about Susan from the get-go, and even as I learned her story, I'm still not sure what to think. I am glad however, the author did not go into too many details regarding her past, especially descriptive details, as it was pretty horrible, and there are some things I would rather not picture nor read about anywhere. While learning her story made me more sympathetic towards her, I definitely did not want her in Jack's life as I have formed a kind of attachment to the idea of Jack and Leslie still getting together one day. We know who the killer is right from the beginning, and while that usually bothers me, this wasn't a murder / mystery novel, but a suspense novel, so the dual story lines worked rather well. What did confuse me was Toby's motivation for the murders; yes, we got the rather mundane and predictable one about the girlfriend and the love triangle, but it didn't make sense to me that someone like Toby would risk the lives of his family to a drug cartel simply for revenge killings. I kept waiting for something more, something bigger, but I was to be disappointed. But then again, sometimes the unexpected happens for a reason, and while the motive might have been simple, the result definitely escalated out of Toby's hand by a ricocheting bullet that killed a five-year-old girl, inflaming the city and setting the cops, and Jack, on his tail. The result being a series of murders to cover up the initial crime reminding me of a kid who tells a little lie, only to have to keep lying to cover up the initial lie, until it all blows up in one's face. The only problem in this scenario is the person doing the killing would get the death penalty if caught. For whatever reason, I wasn't really sympathetic to Toby's plight as there was something cold and unlikable about him; I did like Terrence and Sean better but you also didn't get to read their POVs as often so that is probably why they seemed more likable. They seemed to know when to draw the line a bit better. 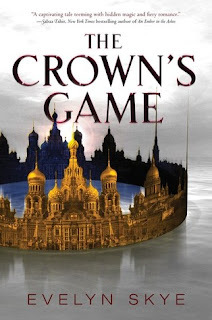 The Crown's Game is a fantasy world of tsarist Russia, and while the premise was somewhat interesting, I actually found that the novel dragged quite a bit. I enjoyed the characters, enjoyed the interplay between the characters, but found the actual plot to be lacking in tension and excitement. Naturally, it had the usual elements often found in young adult novels: the love triangle, the 'I can't live without you' element, and the insta-attraction / love, something that just gets on my nerves. From the moment the two main characters meet is actually when I began to lose interest in the story. First of all, I liked Vika and Nikolai before they met. I liked how they were ambitious and worked hard to hone their craft; I also enjoyed learning about their backgrounds and how they were able to do what they did. Learning about the Crown's Game should not have really tempered their ambitions too much, but I guess there needed to be a reason why these two would not want to fight to the end, even if that reason was a bit lame. I have never been a fan of insta-attraction, and to just fight back feebly because you think the other person may or may not want to kill you seems pretty silly to me. Personally, if I knew there was a fight with only one victor, ordered by the Crown, I would probably do everything in my power to win, no matter what. 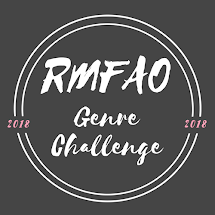 Because of this lack of effort in trying to win, the novel got bogged down in details that were uninteresting and just dragged the story down, in my opinion. I would have liked to have seen some tension between the two of them and some serious magical fighting. There was one interesting scene where Vika attempted to destroy everything Nikolai owned and I finally thought we were getting to something good, then suddenly, all the fight went out of Vika, and that was that. As a reader, I was left feeling pretty disappointed. Then suddenly we have the love triangle. Don't get me wrong, I liked Pasha, I thought he was interesting, but quite different for an heir to a throne. I just couldn't picture him as a possible love interest for Vika, and I think it would have been much more interesting if he had just remained her friend as it would have been much more believable. As it stood in the novel, what Pasha felt for Vika felt much more like a crush and the resulting behaviour was a bit childish, but had deadly consequences for the two combatants. And we are supposed to feel sorry for Pasha because he let his emotions run away from him and couldn't see what the consequences would be? Unfortunately, the actual Game felt overshadowed by this triangle and the resulting contest didn't feel like a contest to the death, but more like two Enchanters showing off their skills. The Crown's Game is a very light fantasy that doesn't quite live up to its premise. There is a definite lack of tension between the two combatants which made it seem more like they were showing off their skills rather than fighting to the death in a deadly contest. What an Enchanter actually does, other than advise the tsar, is rather murky and lightly fluffed over, and I'm still not quite sure why there needs to be only one when the two of them were doing quite nicely all this time. While I thought the writing was fine, the characters themselves were rather one-dimensional and I didn't really empathize with any of them. It says a lot when I didn't really care one way or another who won the Game. Would I recommend this book? I'm not sure as I didn't hate it, but there were definitely some elements that had me rolling my eyes. But I definitely get the appeal, even if it's not for me. 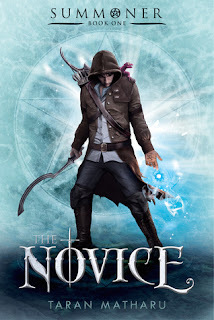 The Novice is the first book in the Summoner Trilogy and I enjoyed it quite a bit. While it started off a bit slowly, there was something about Fletcher and his story that really appealed to me, so I didn't mind at all. Furthermore, the plot was rather simple and straightforward, which I liked, as I never got the feeling the author was trying to fit something in just because he could. There was a rather nice flow between each series of actions as well as with character interactions. 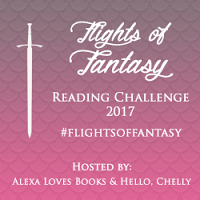 First of all, Fletcher is one of those characters that we've all seen before in fantasy novels; he's an orphan, left at the door by his unknown-to-him mother who will probably be someone highborn, raised by a kind man, fighting against the bullies (usually those born in the nobility), discovers he's a mage, wrongly accused of a crime, runs away, joins a magic academy, and fights other political machinations that surround him. Sound like a familiar theme? Oh, yeah. The bullying and the racism themes were big themes in this novel, kind of reflecting what is happening in the world around us, so I found it interesting to compare reality versus fantasy. I also really liked how the story was written; Fletcher was an unassuming hero, kind, generous, but quite loyal, very interested in the world around him, which made it interesting for the reader for as the story line unfolded you learned some of the political and societal happenings due to Fletcher's interest. I also tend to have a thing for academy books and enjoy them a lot - probably stemming back to my Magician days with Pug and company, although it probably goes even earlier than that. My favourite character so far is Ignatius, the demon that Fletcher accidentally summoned, and I have wondered exactly how he fits into the story and what kinds of powers he actually has. The plot in this one was quite simple, and I enjoyed it just for that reason. However, there was still a lot of things going on despite this simplicity and I think it could be dismissed rather easily as too simple. I liked a lot of the training at the academy, but even more, I liked the interaction between the people as they coped with the pressure of training for a competition for which they were already disadvantaged, one against the noble children who have been training for years with their parents. 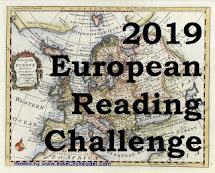 There was enough action to keep it interesting, even if the beginning was a bit slow, and I definitely have become a huge fan of the dwarves, and would like to learn more about them and their history. I am also quite curious about Fletcher's dreams and what they mean as I am beginning to sense some evil machinations behind the Orc war. It has just made me curious as to what is really going on. The Novice turned out to be a great book, and I enjoyed it quite a bit, better than I expected actually. I tend to be really picky when it comes to fantasy, but this was an entertaining, if not very in-depth, novel that I really needed at this time - something very different from Martin, Goodkind, or Weeks. 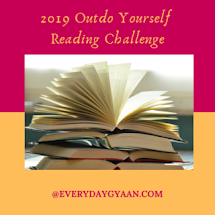 It's a book meant to be lighthearted, without all that extra stuff that bogs down a book and makes it dreary, and the characters are easygoing and pretty likable. I truly wasn't expecting the cliffhanger at the hand, although I was expecting it to come back to him at some point in the future, just not the way it happened. 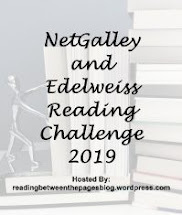 I'm still not sure how I feel about cliffhanger endings though; if the book is really good, you will want to read the next one despite the cliffhanger which can really frustrate readers. Anyhow, looking forward to reading The Inquisition, which is sitting on my shelf just waiting to be read. 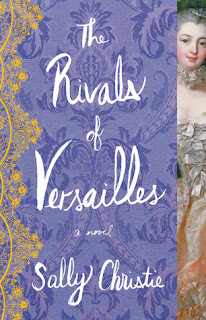 The Rivals of Versailles is the second book in The Mistresses of Versailles Trilogy, and I found it to be just as compelling as The Sisters of Versailles, the first book in the series. In this one, we are treated to the relationship between Jeanne Poisson (Madame de Pompadour) and King Louis XV. The Marquise's story is especially riveting because she was able to develop her friendship with Louis, and keep his attentions even when their sexual relationship cooled off, becoming one of the most influential women in Europe during this time period. After being told by a fortune-teller that she would one day win the love of a king, Jeanne is carefully nurtured and educated with only one end in sight - to win the love of a great man and produce the benefits for the entire family. 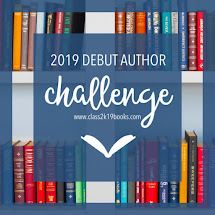 Thanks to her mother's connections, Jeanne soon finds herself embroiled in a plot to win over the king; even her husband was a means to an end as only a married woman can go to court. I actually found the whole planning method to be quite exhausting and it's no wonder many women fainted at court; it's definitely not the clothes they were wearing, but the shear exhaustion of the planning and manipulations that went on in order to get above everyone else. Even when Jeanne finally did achieve the pinnacle of her ambition, and fell madly in love with the king, before she could be presented at court, due to her humble beginnings, she had to spend hours and hours learning court etiquette, everything from bowing to someone to how to eat properly to how to walk properly. 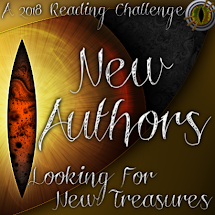 I did find a lot of the rules mentioned quite fascinating, and although I knew some of them, there were others with which I was unfamiliar so they were fun to learn. The Marquise eventually became one of the most cultured woman at Versailles. In order to survive that many years as a mistress however, one also has to be quite politically savvy and the marquise was brilliant in her moves. She became a trusted and valued advisor to the king, even helping to negotiate treaties and other deals, to the detriment of the men on the council who did not trust her because she was a woman. She also became a huge patron of the arts, nurturing all kinds of artists and architects, being responsible for the planning of the Petit Trianon as well as the Place de la Concorde. Despite all of this, her position was never stable, and I found her machinations and plotting to keep her position through Henry's other flings quite interesting. This is where the narrative changes a bit and we get a taste of three important rivals in a long line of flings. Rosalie, a minor countess, captures the king's attention with her youth and her beauty. Morphise, a young but worldly girl, captures the king as she can match his insatiable sexual appetite; quite cunning, her wisdom and sarcasm interest the king as he doesn't quite know what to think about this girl-woman. And then there is Marie-Anne, whose resemblance to her namesake captures the king's attention; I really like how the author made this woman seem so silly as it was quite funny. I seriously doubt she was quite like this in reality, something the author also touches upon in her notes, but it was fun nonetheless. All three were guided by mentors in the court who you would think would have learned their lesson by now; the Marquise was untouchable which is why none of these girls lasted as mistresses as all three attempted to have Jeanne removed from Versailles. But how everything worked out was quite interesting and I enjoyed the political machinations quite well. It especially showed that one couldn't trust anyone in that court. I seriously don't know how anyone could live like that for years and not suffer serious illnesses from the stress of it all. The Rivals of Versailles really demonstrated the jealousies and rivalries that occurred in the court of Versailles during this time period. Better yet, there was an underlying theme of discontent and bitterness as the King dealt with people who no longer loved him and tried to kill him, with the nobility slowly grasping the idea that they were quite hated. Lots of conflict, even if small, occurred in this novel, which definitely set the tone for what is to come. 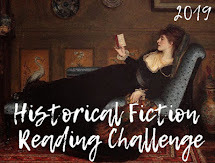 While not a political novel, it definitely shows the excess waste and wanton disregard for people who were starving and needed attention from their king and courtiers. I did really wish however, that the author had truly shown how tough and strong the Marquess was as well as some of the other really important things that she did as I felt those were glossed over in favour of her relationship with the king and her neediness for him. In order to survive in this nest of vipers, she would have had to have been much stronger than that. 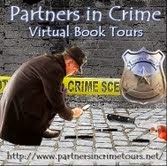 Once again Alex Duggins and her veterinarian friend Tony Harrison are thrown into a major murder investigation. An almost fresh body is discovered in a disused well among the ruins of a 14th-century manor house ... the motive for the killing a baffling mystery. The victim was a widow who had lived quietly in the picturesque Cotswolds village of Folly-on-Weir for the past ten years. Who on earth could want her dead, and by such brutal means? Out Comes the Evil is the second book in the Alex Duggins mystery series, and it was pretty much the same as the first; decent, but predictable. 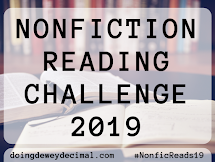 While the novel tends to be more of a traditional English mystery, which is what I was looking for, but I had trouble empathizing with the main character and I definitely didn't understand some of the things she did. First of all, I like the traditional English mystery and was hoping this novel would deliver. With a body discovered in a well among the ruins of an old castle, it had the makings of a good mystery, but I was sort of let down as the story moved along. I did enjoy the setting however, and could picture the pub that Alex owned quite clearly in my mind as well as Tony's cozy cottage. All I wanted to do was spent an afternoon sitting around the blazing fires, having a beer, chatting with friends while it was raining outside - the mood and setting were definitely to my taste. 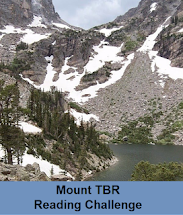 When the author really wanted to, her descriptions of the place just made you want to go there and spend some time amongst these people, but at other times, the writing was stilted and a bit inconsistent. I also found the characters' motives to be quite unclear at times and it made the story a bit confusing and inconsistent; for example, Alex went to try and get information from a certain person who very quickly turned on her and led to a series of events that frankly, were quite unbelievable. Suspension of belief in a fantasy can be acceptable, but in a murder mystery, it makes it seem fake and silly. I am not a huge fan of Alex as a main character; I find her to be silly and a bit reckless too. One of the things that has always eaten at me is the expectation of characters in some of these mysteries to be told confidential information from the police about on-going investigations as if they have a right to that information. That turns me right off and Alex is one of those who has no problem inserting herself into investigations without regard for anyone else, and then is affronted when her boyfriend gets mad at her meddling. She had even gone so far as to withhold information from the police in this one because she was doing her own investigation, continually telling everyone around her that she was not getting involved because of what happened last time - hypocrisy, no? Sadie and Riley work at Chandlers shoe shop, in the charming town of Hedworth. But when Chandlers is threatened with closure, the friends are confronted with the loss of not only their jobs, but also their support network - the glue that holds them together when they are close to breaking. I enjoyed this novel and thought the characters were rather interesting and quirky. I did find it to be on the light side though, which made it a bit more difficult to connect with the characters and their issues. I did however, like the social media theme that was introduced in the novel, and the influence it can have on a business and on a personal relationship, especially if you are not careful. 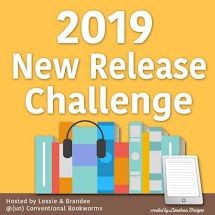 I liked the way that Riley kept coming up with ideas to compete with other major retailers in order to try and keep the shop open, while not necessarily crossing the line her boss had set. It was definitely interesting to see what the repercussions would be to everything she set in motion for the shop and I was always curious as to what would happen next. The themes of friendship, love, loyalty, loss ran pretty strongly throughout this novel, but I don't think they were ever explored in depth, rather touched upon lightly. It's not always a bad thing, but to me, it also made the novel feel more superficial as it didn't really plumb the depths of these emotions. I actually enjoyed Sadie's character the best because she seemed the most honest in her emotions as she tried to deal with the anger and pain of losing her husband to cancer less than a year ago. I didn't really connect with Riley as much as I thought she needed to develop a bit of a backbone as well as really see what was in front of her. 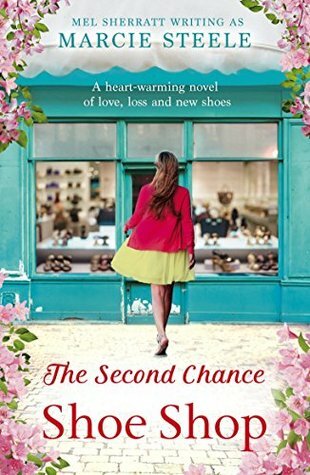 The Second Chance Shoe Shop is one of those books that I enjoyed, but to be honest, I didn't really connect to the characters or was interested in what happened to the shop. While I enjoyed the antics of the characters, I was a bit let down by the ending; and yes, it was a bit predictable, and I think I was hoping for something else to happen. I would definitely recommend this one to others, if anything as a feel-good read and as a good chick-lit read. 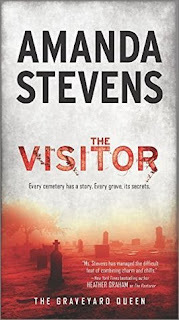 The Visitor is the fourth book in the Graveyard Queen series, and while I absolutely loved the previous entries in the series, I wasn't as crazy about this entry. I felt like the story line veered quite a bit from the original as Amelia's abilities became stronger, but at the same time, more mysterious. First of all, one of the things I really liked about the previous entries was Amelia's profession, a restorer of abandoned cemeteries, and I especially liked some of the creepy things that happened in said cemeteries, and some of the things we learned about cemeteries. I love cemeteries myself and have spent many an hour happily lost in them when I was younger, so I can understand Amelia's obsession with them. While Amelia spent some time at her business, and was given the prospect of possibly restoring an old cemetery, nothing really came of it other than a few creepy visits, but it was just part of the story line. Amelia did learn quite a bit more about her family background in this one, and some of the things that appeared in previous novels were also explained as well. While it is not necessary to have read the previous novels in order to understand this book, it certainly would be helpful as the author doesn't explain previous events, assuming you are already familiar with them. It certainly seems like there are a lot of family secrets in her family, and they also get more and more complex the more she learned. I actually thought this was quite interesting, but at the same time, this is where the novel kind of went in a different direction from what I was expecting, and I'm not sure what I think about that. 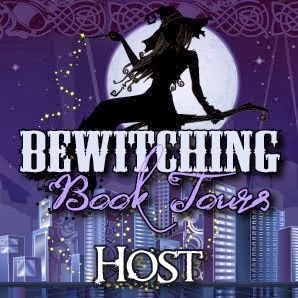 While the paranormal definitely played a key role in previous novels, in this one it played the major role and I just felt like something got lost in all of the paranormal stuff, including Devlin and Amelia's relationship, which seemed off right from the beginning. 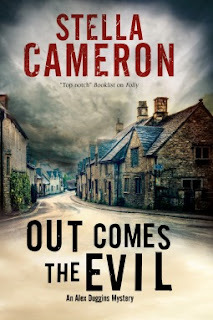 There were also a lot of secrets being kept from Amelia on Devlin's part as he dealt with his grandfather and some of his family issues, but sometimes all of this keeping of secrets can work against an author if there is just too much. 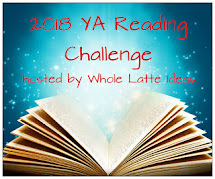 In this case, I really felt like the characters and their development were shuffled to the background and I was extremely disappointment in that area of the novel. After three books, and many dramatic episodes, you'd think more credit would be given to Devlin for what he'd seen and heard. And Amelia was a bit annoying in this one as well; get over whining about everything and deal with issues. To be fair, this Amelia seemed different than the one we saw in the previous novels, and she dealt with situations a bit differently, almost as if she needed to be rescued. The Visitor is one of those novels that I couldn't wait to read, but was a bit disappointed when I finally did get my hands on it. While there were some genuinely interesting and creepy moments, I had to suspend my disbelief way too often; the novel took a turn in the paranormal I'm not really sure I'm crazy over as I liked the way it was in previous novels. I really wanted there to be more "story" to the story as I felt like it was just a set-up for the next book in the series rather than a story on its own. As for whether I read the next book in this series, we'll see as I'm not sure.